Tenggol Island (Or Pulau Tenggol) is a beautiful island off the coast of Terengganu, about 14 nautical miles from Kuala Dungun. 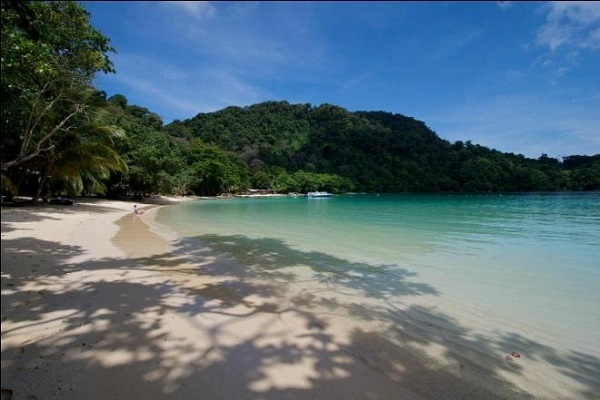 It is the last string of island sharing the same coastline with Pulau Perhentian and Pulau Redang. This rocky island is about 2 kilometres in width and 3 kilometres in length at its widest point. 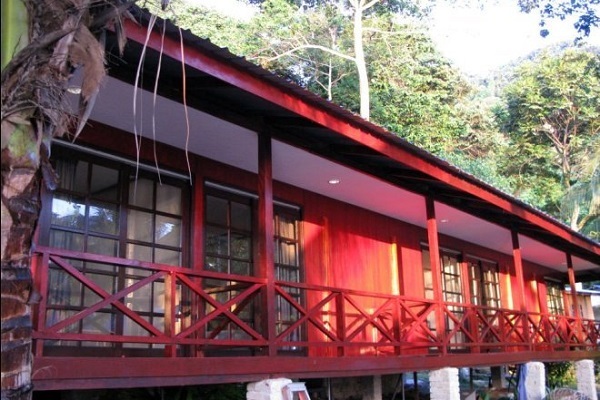 It is one of the most pristine and tranquil islands off the east coast of Peninsular Malaysia, with impressive rocky cliffs that offer abundant of tremendous dive sites. 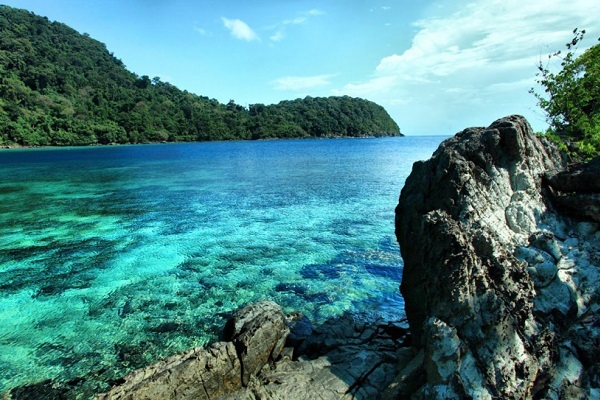 One of the main attractions of Pulau Tenggol is that it is maintained close to its original condition. 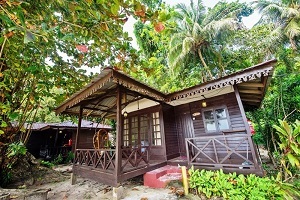 A virgin island backed by white sandy beaches and pristine crystal clear water with steeply forested cliffs as backdrop, it is definitely an enjoyable retreat away from the bustling city. 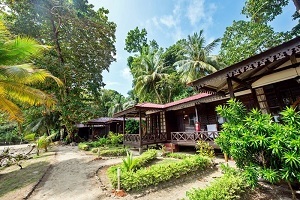 Activities in Pulau Tenggol range from swimming, snorkelling, scuba diving, kayaking, and jungle exploring or just relaxing under the sun on the white sandy beach. 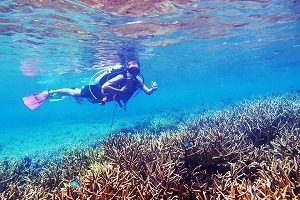 At Pulau Tenggol, diving and snorkelling lovers will find untouched coral formations and a great diversity of submerged rocks with tremendous coral growths. 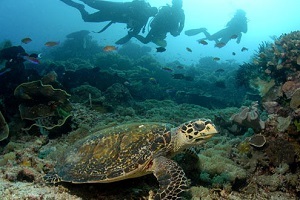 Pulau Tenggol and the nearby islands offer good underwater visibility with plenty of wonderful marine life and a wide range of soft and hard corals. 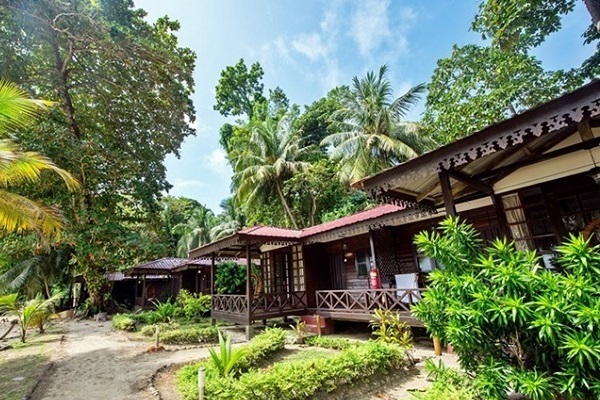 Divers will realize that Tenggol Island offers great diving experience, ranging from drift diving, deep diving and two wreck dives for the experienced divers. The incredible shallow dives are perfect for the novice scuba divers.